Terms like 'eco-tourism' and 'green tourism' were introduced long ago. But 'responsible tourism' is a relatively new term. When businesses understood that eco-tourism was a flawed term as it only focused on 'nature-based' tourism, the term 'responsible tourism' came into existence. As modernization continues to expand, tourism Industry in Indian subcontinent are making genuine efforts to preserve their indigenous culture. Whether you're travelling to India, Nepal, Bhutan, Bangladesh or Sri Lanka, you'll often notice that many practices of responsible tourism are in action. As a discerning traveller, you should gain a crystal-clear understanding of what responsible tourism means and how you can contribute to this cause so that Indian subcontinent becomes a better place to visit, and to live in. Responsible tourism refers to the management of tourism in a way that maximizes the economic, social and environmental benefits. It is, therefore, aimed at generating greater economic benefits for local people, improving the welfare of the host communities while creating better working conditions and access to the industry. Travel operators, hotel business, government and locals all work in close collaboration so as to achieve success with the cause of responsible tourism and make a real difference both now and for the time to come. Responsible tourism applies to all types of holidays or tourism. The best part about upholding the principles of responsible tourism is that it helps local people maintain the fragile culture, environment and species. Environment: First and foremost, it focuses on reducing the environmental footprints left by tourists. Less water and less energy should be used. Manufacturing and distribution of products should be more eco-efficient. Social: This is what sets responsible tourism apart. For an effective development of sustainable tourism, it's crucial to give local communities their right to participate in the decision-making process. Culture: Most part of the countries of the Indian subcontinent is still rural and untouched. Responsible tourism pays serious attention to preserve the local culture, customs and traditions. It aims to create awareness about the importance of the local culture among travellers and businesses. Economy: One of the main purposes of responsible or sustainable tourism is to maximize economic benefits for local people and the host communities. By helping local communities improve their well-being, tourism can be developed effectively in or outside India as well. Responsible tourism is our guiding principle. 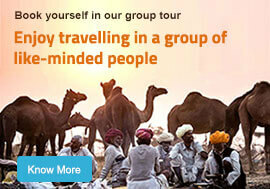 At Max Holidays, we take good care of both the travel destinations and the local culture. We strongly believe that our trips bring numerous benefits to the local people for economic growth. Also to contribute towards responsible tourism, we have partnered with local suppliers. With the help of these hand-picked local suppliers, we don't just provide you with an enriching travel experience, but also improve the well-being of local/host communities. Meeting with locals is something that can easily become one of the most valued memories for travellers. This is exactly the reason behind our long list of repeated travellers. Regardless of where you wish to travel, we make sure that you spend some good time with the local people of a place. Whether it's our staff, travel guides, suppliers or anybody you travel with, we keep on educating them about the significance of responsible tourism and how to minimize the negative environmental impacts. Max Holidays is actively involved in multiple community-based projects and social awareness programmes around the entire Indian subcontinent. Just like we encourage travellers to give back to the communities, we ensure that we also give back in as many ways as possible. Apart from distributing leftover foods among the needy locals, we also practice purchasing products that are locally made or grown. We also recycle in those travel destinations wherever it's possible. When we take you to ecologically and culturally sensitive travel destinations, we ensure that the size of the group is very small. By tying up with local suppliers, employing local guides and staying in small-scale accommodation, we ensure that the local communities are economically benefited. Before You Travel: It's important to gather knowledge as much as possible about a country or city you're planning to visit. There are various resources that you can use to know more about a travel destination. You can refer to the online resources; else can come across various travel guides, books and magazines. Additionally, you should also feel free to get in touch with our travel experts for more practical tips and suggestions. In any case, you should not forget to learn at least a few words of the local language (and customs) of the place you're visiting. Knowing how to greet and meet with local people in their own language can enrich your travel experience manifolds. Interacting with Local People: While In a meeting with local or host people it is important and treat them well. You should never look down upon their lifestyle, customs and traditions. While visiting places of religious importance (temples, mosques, churches, monasteries), you should ensure you dress yourself as per the local customs. Elderly people must also be respected, regardless of what backgrounds they come from. Before you start clicking images, you should make sure you aren't violating any government/local guidelines. There are some places where you'll need permission in advance to take pictures. Alcohol consumption is strictly prohibited in many places. Even when you want to smoke, you should be careful. In many local communities, smoking isn't common. As a responsible tourist, you should never encourage local people to smoke. Always remember not to provoke anyone and ensure you talk to them in a very polite manner. Use of Resources: It is important to avoid wastage of water and energy. If you're visiting a place where there's a shortage of water, you need to be sure using it in a very conservative way. For example, avoid keeping the tap water running while brushing your teeth. Likewise, you should turn off lights and lamps when not in use. Do not overuse electrical equipment. Eating: Each country of the Indian subcontinent is known for its own range of delectable dishes and food items. To enhance your experience, try different types of food in different restaurants. Local food and drinks are quite popular and tasty. You should buy them more. The more you spend on local food, the more you'll contribute to the economic growth of the local people. Excursions: During your travel, you'll come across excellent opportunities for making excursion tours. Prefer opting for environment-friendly excursions even if it proves to be a little costlier. There are different types of local transport available for excursions. Use these means of transport to support local people. Also, use local guides to improve your knowledge and encourage locals to share more information about their history, culture, customs and traditions. Shopping: Purchasing souvenirs is the best way to make your trip memorable. You can purchase as many items of art and craft as you may like, but never think of buying wildlife products, made from the plants or parts of endangered species. Don't underpay for a product either. Instead, pay a fair price so that both the parties (you and the seller) are happy. Most importantly, buy items hand-crafted by the local communities. Countries like India, Nepal, Bhutan, Sri Lanka and Bangladesh offer numerous local markets. Road-side vendors also sell a wide range of beautiful gift items or souvenirs. Never buy drugs, as its illegal and will get you in serious trouble. You may be jailed for several years in a row. Giving Back: Avoid giving money or gifts to begging children, as it encourages begging. Instead look for a social welfare project that you can support. For example, you can contribute to a medical project, an educational institution or a charitable cause. However, checking of their backgrounds is important to ensure the organization you're supporting is a legitimate one. By giving back to the community, you really can make a big difference and help create a better future. Being a responsible traveller, you'll help Max Holidays in its mission of minimizing negative economic, environmental and social impacts. The simple responsible tourism guidelines mentioned above won't cost you an arm or a leg. But following them will surely make a big difference and create 'better places to live in and to visit' - not just for this generation but for many more generations to come.